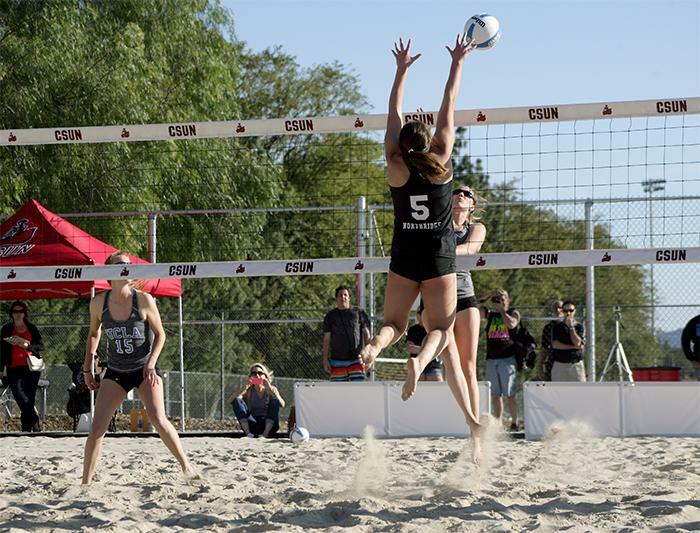 Rain or shine, the CSUN women’s beach volleyball team completed a clean sweep 5-0 to pick up its fourth win of the season against the visiting Colorado Mesa. The Matadors cruised comfortably in matches one, two and four, winning in straight sets. In matches three and five, the Matadors faced a strong contest from Colorado Mesa as the matches stretched to three sets. 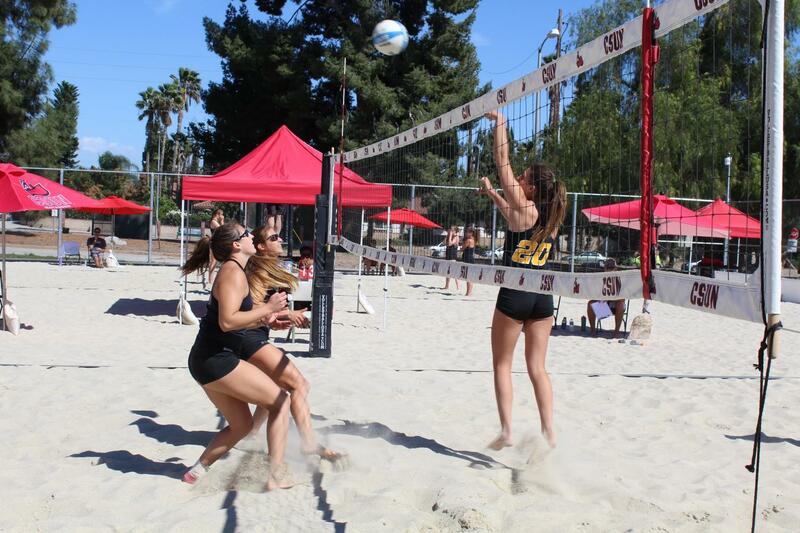 Juniors Julie Haake and Maddie Leiphardt defeated Hana Peterman and Naomi Pinnecoose 21-11 and 21-18 in the first match to pick up CSUN’s first win of the day. Haake and Leiphardt have won six of their last nine matches. In the second match, senior Rachel Gam and freshman Kristey Markle won their match handily 21-13 and 21-11. Solid play by junior Nicoletta Stork and sophomore Nicolette Pinkney completed the first wave of matches seeing them win the No. 6 extra match 21-9 and 21-17. 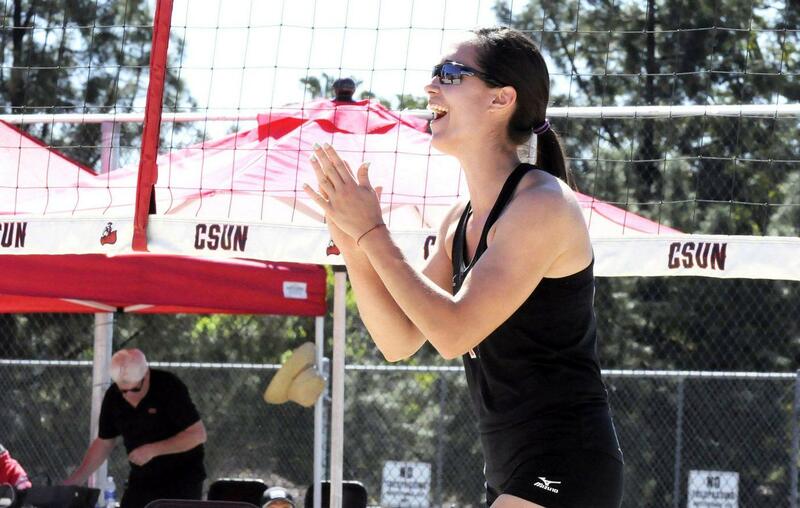 Sophomores Lauren Conati and Katie Sato swept their match 22-20 and 21-18 to win CSUN’s fourth contest of the day. Sophomore Nada Dragovic and freshman Kamden Maas showed toughness and grit, winning the second and third sets 21-14 and 15-10 after losing their first set 19-21. Freshmen Aeryn Owens and Erin Indermill were able to answer back after dropping their second set to make it a clean sweep for the Matadors by finishing 21-19, 17-21 and15-10. The Matadors will travel to Concordia on April 14. 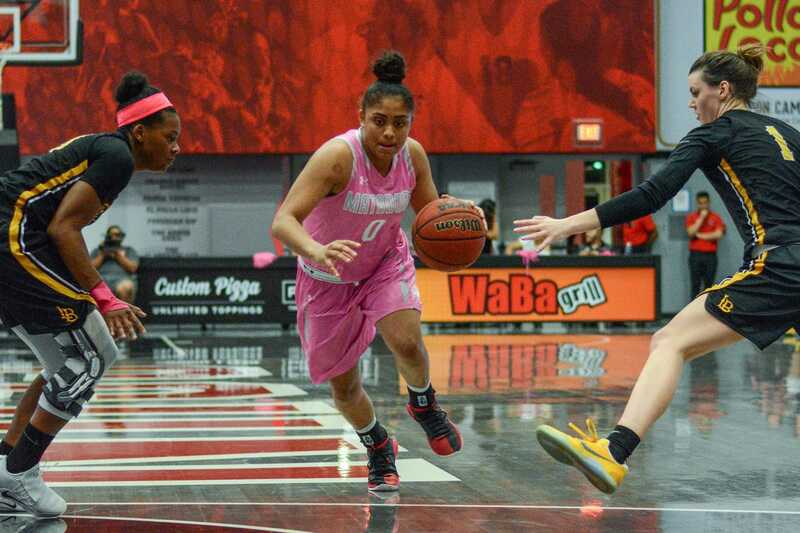 This will be one of the last matchups before CSUN competes in the Big West Championship.